Discounted 30% for a limited time. There is only so much space on your computer screen, Fluid Browser makes the most of it. Fluid Browser floats on top of open applications and can easily be resized. 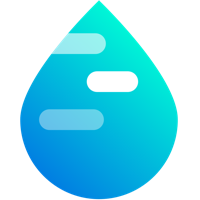 Fluid Browser gives the user full control over transparency by a simple touch of a keystroke to easily see and work behind content. Finally, Fluid Browser is beyond media. Upload or drag PDFs, images or movies (.mp4 for now, .mov coming soon) into the browser to increase productivity or reference work. This app is not associated or affiliated with any of the companies listed above. Please rate us if you enjoy using this app! Fluid Browser has undergone new management. For updates and support, please visit www.inwardlabs.com.